As many of you will know in November of last year we opened our Cwmbran storage centre. With the success of this branch we thought we would tell you a little more about Cwmbran its self. Cwmbran is located in the borough of Torfaen in the historic boundaries of Monmouthshire, South Wales. The town was established in 1949 to provide new employment opportunities in the south eastern portion of the South Wales Coalfield. In October 1979 Cwmbran was officially signed as being twinned with Bruchsal in Germany. There are lots to see and do in Cwmbran for all ages, from going to either Llantarnam Grange Arts Centre or Congress Theatre to the town’s shopping centre. Cwmbran is home to plenty of schools, with three secondary schools, Croesyceiliog School, Llantarnman School and Fairwater High School. There are also numerous primary and nursery schools including a Welsh medium primary school, Ysgol Gymraeg Cwnbran. 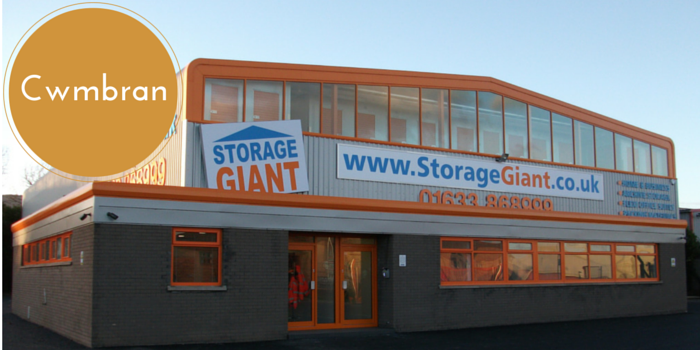 Our Storage Giant centre is located right by the Cwmbran Stadium. The stadium is a multi- purpose stadium and state of the art sports complex, holding 10,500 people. The main outdoor arena consists of an international standard athletics track and field surrounding a grass football pitch. It is home to Cwmbran Town F.C. Outdoors you will also find a floodlit artificial playing surface for football and hockey. Cwmbran stadium’s indoor facilities include a 25-metre swimming pool and one of the best indoor bowling facilities in Wales with 6 rinks. Our Cwmbran Self-Storage site offers 60,000 sq. ft. of storage space, in over 20 different sizes.We offer domestic storage, business storage and office space with the latest in American storage security monitoring.